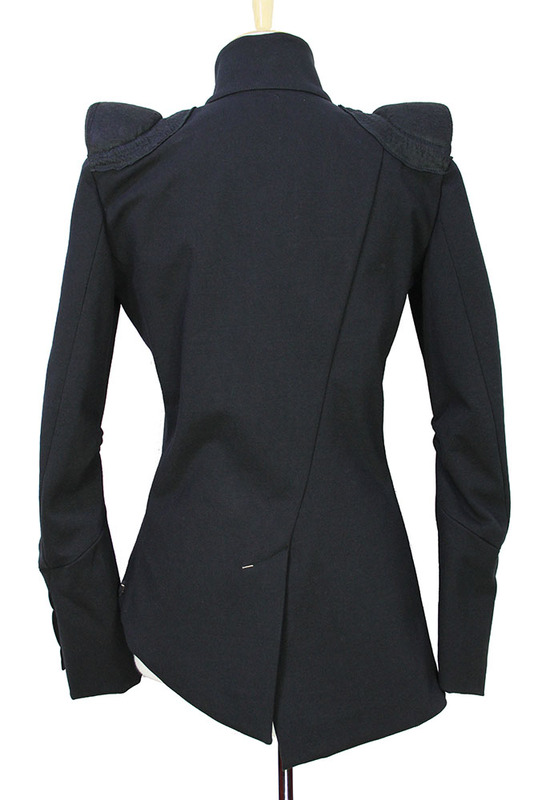 Nostrasantissima wonderful black, single button, asymmetric, cut-away style jacket. High collar. Left chest pocket with stitch detail and slightly open to show the white interior. Single patch pocket on the right side. On the outside of the shoulders there are shoulder pads with beautiful stitch detail. 2 level, angled cuff with stitch detail. Articulated arms. Left side is cut-away higher than the right. Vent at rear. Taped French seams inside. 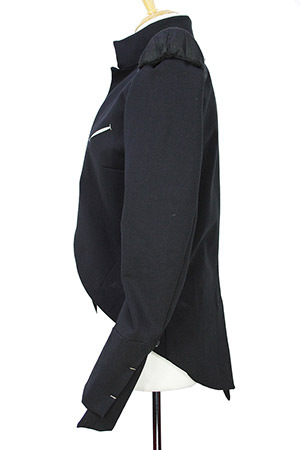 Beautifully tailored, a brilliant jacket one of the best I have seen for a long time!